This is my new 60 series project! I have started a thread in members build ups in the ute section, but will try to add what I am doing on this thread also. Installed a dual battery system, new stereo, and UHF this weekend. Also cleaned up a dodgy wiring under the dash and in the engine bay. I bet you and your family had a great time! Good to hear you got there and back; you can't go wrong with a 60 series! I know where I'd still rather be. Based on who, where and when I sold my 60, I have a strong suspicion that I saw my old 60 on page 5 of today's paper. 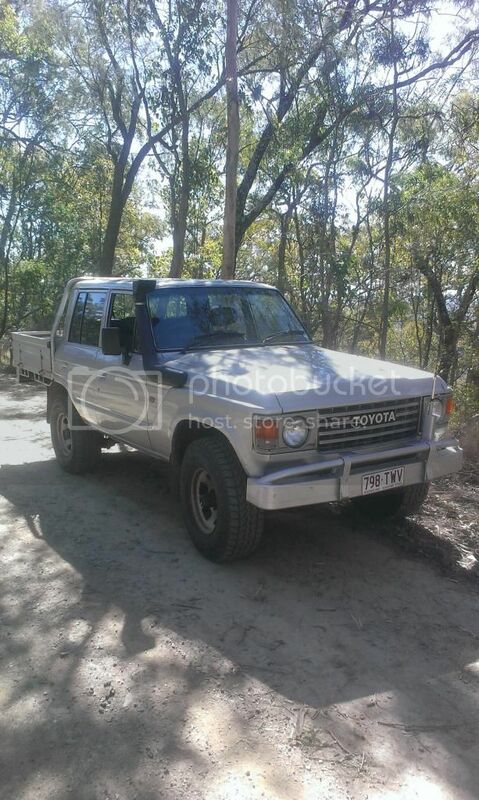 The pics I have found are supportive of it being my old vehicle, if I could see the bull bar I'd know for sure. looks like an aluminium one.. but why, why do people put others at risk trying to drive through floodwater??? Glad it all ended well for the occupants. 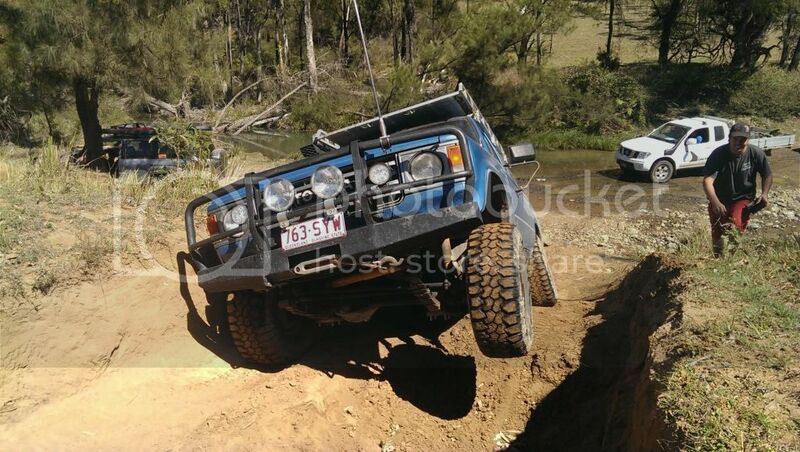 I took it to Landcruiser Mountain Park last weekend. Flexes better than I thought it would but it looks like she doesn't really need to flex! I got an auto locker installed in the rear. Absolutely amazing! I've bought a 120AH AGM deep cycle battery to replace the one in the boot and upgraded some of the wiring for that. That should keep my beers cold on weekends away. I replaced the belts and the top and bottom hoses and flushed the radiator then the next day the idler pulley seized. Repco listed 2 different pulleys, neither were right. One was the wrong centre dia. and the other was the wrong groove depth for the belt so I got a mate to buy a pair of bearing and press them in. Did the job nicely and cost less! Love the photo ! Paparazzi have got nothing. Go the 60. Have to get out again soon. I've been kept from play for a while. My Dad has left to adventure new horizons other than this earth. So, this is a silly problem to have. This is the second time I've lost the front uni off the front drive shaft. Just completely disappeared! I'm going to have to start buying 60 series cruisers just to collect all the front tail shafts! 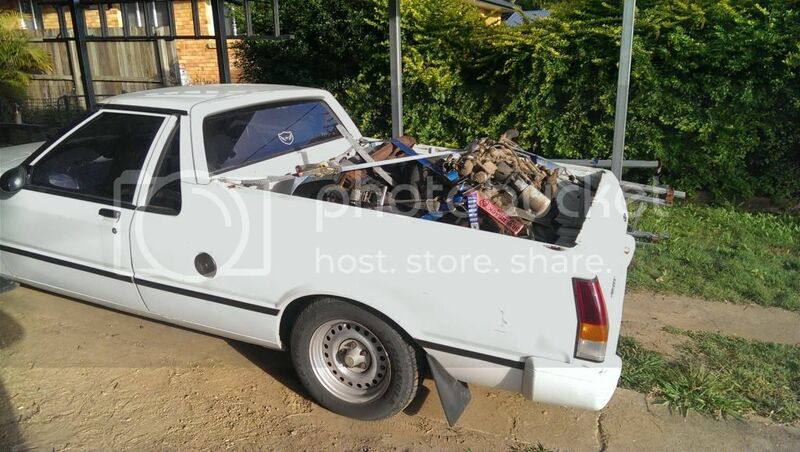 In other news, I've improved the traction in my ute AND doubled the power by dropping a pair of 2Hs in the back! I think I have sussed out the issue. 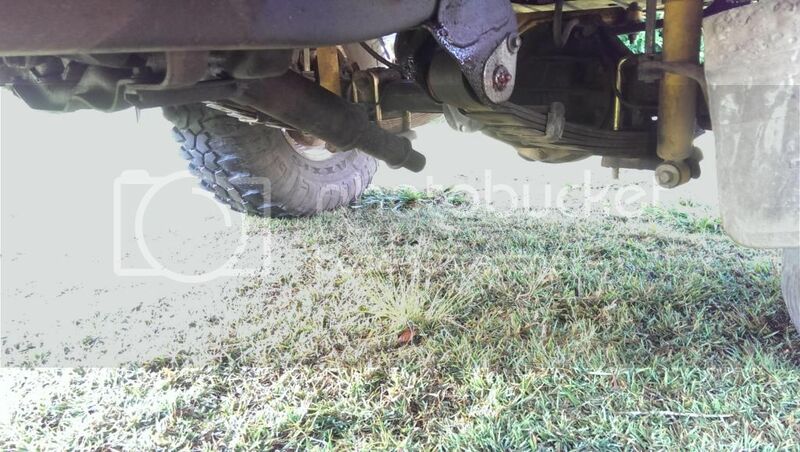 It would appear as though a previous owner thought a 75 front shaft was a full sick hektik upgrade. It is about 2" longer. But only about 1" too long for the job. I bought a complete shaft from another 60 which would have been perfect, had the flange on the transfer been the correct bolt pattern. What I've done as a short term fix is shortened the long half of the 75 shaft and used the front half of the 60 shaft. This should get me out of trouble until I can find a transfer flange from a 60. I'm hoping that swapping the flange is easy.